Lock in a great price for The Clontarf Hotel – rated 9.5 by recent guests! the Clontarf was everything as advertised and more. It was luxury accommodations for a good price. The owners were friendly and very helpful. The room was lovely with every little extra you would expect in first class hotel and more. The breakfast was beyond our expectation with everything cooked to perfection. The table was set with fresh flowers which was a special touch. The location was only 1 block from the beach. I would recommend this hotel to anyone who wants to be treated as special guest. The hotel staff and owner was lovely and very helpful. The breakfast was 5*. Made to feel very welcome and the breakfast was perfect. Great host are welcoming you in this lovely hotel on the west sea front of Llandudno. We had the room on the top floor which was huge and very well decorated. Bathroom was very modern with all amenities one can expect (even shower and bathtub!) Breakfast was amazing, great selection of fresh products and delicious cooking! Breakfast was good, location for exploring the Great Orme was excellent. We absolutely loved it here. All the little personal touches just make it the most amazing place to stay. I’m definitely coming back! Thank you for such a special stay. You have a uniquely wonderful place here. Great location with a warm welcome from the staff!! Staff are very helpful!! We will certainly stay here again!! The Clontarf Hotel This rating is a reflection of how the property compares to the industry standard when it comes to price, facilities and services available. It's based on a self-evaluation by the property. Use this rating to help choose your stay! 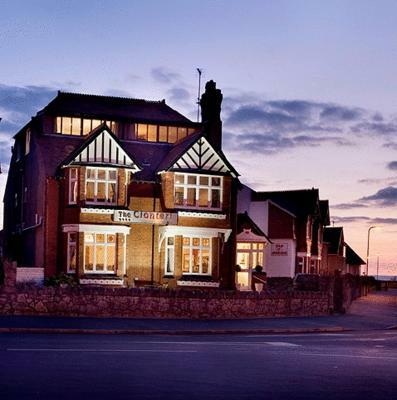 With excellent rooms, free Wi-Fi and free parking, Clontarf Hotel is located on the peaceful West Shore, at the foot of the Great Orme. The family-run hotel has a spacious guest lounge with a small bar. 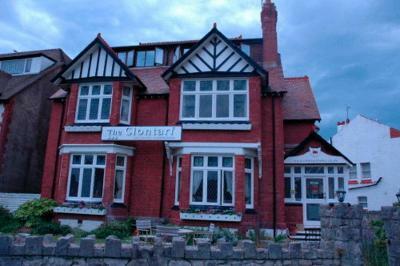 Each bedroom at the Clontarf Hotel is unique and has a high-quality bed and views of the sea or the Great Orme. 뀐 Located in the top-rated area in Llandudno, this property has an excellent location score of 9.4! When would you like to stay at The Clontarf Hotel? Very large rooms, some with adjustable or four poster bed and sitting area. Larger rooms with some sea views. 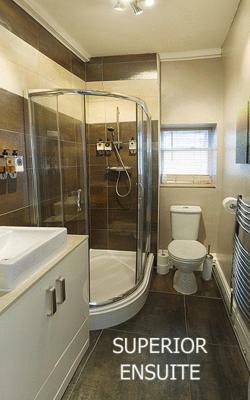 A smaller sized double room with a 53 in (4'6") double bed, private shower room and tea/coffee making facilities. Mark & Joni have owned the hotel for 6 years. We take pride in our hotel and always try and look after all our guests on an individual basis. We hope that everyone enjoys their stay with us and as such give a personal service, where possible to all guests. House Rules The Clontarf Hotel takes special requests – add in the next step! The Clontarf Hotel accepts these cards and reserves the right to temporarily hold an amount prior to arrival. Damp in corner of room. There was absolutely nothing that we didn’t like. This is fabulous place to stay. Warm welcome from our hosts, clean comfortable room with modern en-suite and a sea view. Breakfasts are absolutely fantastic, freshly cooked to order and were included in the price. Helpful advice given as to potential days out, dependant on different guests requirements. I would be happy to recommend and to personally stay at this hotel again. Comfortable & stylish room, excellent breakfast with fresh fruit & very nice coffee. 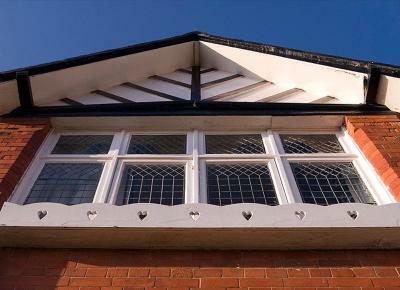 Great location for the west shore & a short walk into the main area of Llandudno for Bars & Restaurants.